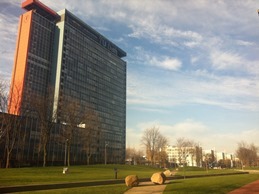 Last spring the Climate-KIC Pathfinder project “Sustainable Campus Launching Customer” (SCLC) has come to an end. The project team of SCLC would like to share some key findings of the project with the Climate KIC community. Campuses have all it takes to invent and develop sustainable system innovation: brilliant minds, international networks with governments, companies and other scientists, sufficient space and access to equipment and future generations to make climate innovation happen. However the test-bed function, including testing technologies and University Real Estates’ has been underutilized. This project helped to narrow the often experienced gap between researchers and operations staff to start experimenting more and more at the university campus. The main trigger to start the project was the observation more and more sustainable technology innovations are available. However, these technical solutions often lack crucial strategies and processes for real economic, environmental and behavioral change to turn these technology inventions into real innovations for serious positive societal impact. Learning between project partners how to set up these strategies and sharing several technologies with each other has been the main outcome of this project to make more use of their own university campuses grounds as test-beds for innovation. Best practices of campus sustainability approaches different Universities have started and research-valorization examples were shared amongst the partners. This network came up with the best examples of technologies university campus stakeholders are working on, called ‘diamonds’ and were assembled in a digital open community at the project website SustainableCampus.eu. 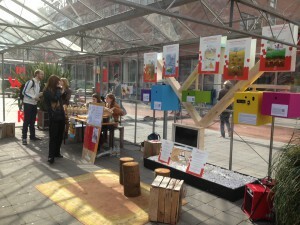 Project partner Utrecht University showed a selection of sustainable research diamonds to a wider community in a temporary greenhouse at the university campus. You can find a blog post and pictures here (Dutch only). This Pathfinder project has been a catalyst for a transition at university campuses, to use the science parks as a test bed for ‘in-house’ developed innovations. For an impression, please watch this and a short documentary. By the end of the project, two more academic Climate KIC partners joined the consortium, which proofs the potential for this concept. The project website will stay live and a part of our collected Diamonds will be integrated in the Valoriz platform, an initiative of the Climate KIC Education pillar, which will be launched at the Climate Innovation Event on June 17th in Utrecht. Take a look at Valoriz.